I've been steadily getting rid of all those scraps of paper saved from magazines that had a recipe I just could not resist. In the process I investigated a variety of ways of digitising those resources. My process is quite simple. View cook book in Evernote food - not at all necessary as Evernote does such a good job, but the Evernote food app is visually pleasing. The power of Evernote search is the winner for me, it even searches the text within the images of my handwritten recipes from years ago. Once I was set on this path I continued to add interesting recipes read through Feedly or clipped from the web via the Chrome extension Clearly. Once I had loaded the Web clipper extension and turned on related searches, any Google search now searched my Evernote notebooks too. The only problem left was all those recipes in my shelves of recipe books. Here Eat your books came into play. It indexes the recipes in your cook books, making it easy to find which cook book had that favourite recipe. You can add five books for free but need a subscription to add more. I put this information into the presentation below for patrons of Noosa Library Services along with some other interesting food sites. The apps and sites I used are detailed in the slides. 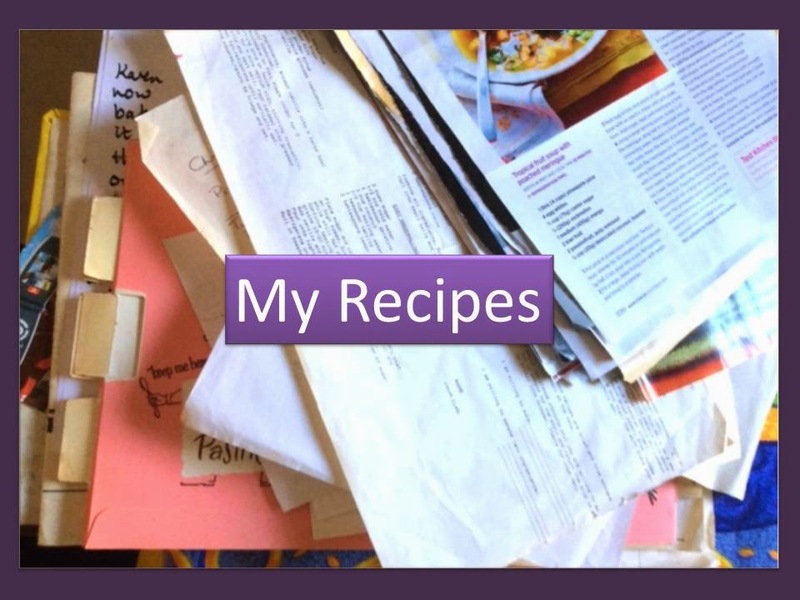 Digitise your recipes and enjoy! Information at our fingertips, what a luxury we have at our disposal. Unfortunately, as we all well know, there are those who seek to take advantage of us on the internet. Just this week, two of the three email addresses in our household have been the target of a phishing attack that our separate email providers did not detect as spam. This email sought to convince us that it was a receipt for an online purchase. Yes - we do often purchase goods online and the amount was not unreasonable enough to cause a panic. No - neither of us had made a purchase for that amount. Yes - there was an attachment which would have contained a virus, trojan or malware of some sort had it been opened. Be alert, be aware is our motto. This help session points to some useful sites that assist in raising our digital awareness and a couple of sites useful for debunking those tips, often too good to be true, that manage to arrive via email. Planning a trip can be the most stressful part of your journey but with so many tools available how does one choose? One of my favourite tools is Tripit and that is just one of dozens in this presentation prepared for patrons of Noosa Library Service. Have a look at this range of apps and sites designed to enhance your travel planning, then choose some to enable easy management of your data and photos while travelling. My newest piece of hardware gets a mention too. Check out some ideas for creating your own travel ebooks and view some suggestions for preserving your memories upon returning home. Related post: Making Readlists Use a Readlist to compile all those pages you want to take with you. Follow Travel apps and tips to keep up to date with the latest offerings.